Animal lover, actor and empathetic tweeter Ricky Gervais is calling out animal killers on the internet - and he's not kidding around. Trophy hunters drop thousands of dollars to kill harmless, peaceful animals, leading to dwindling populations in the wild. In this cruel case, the victims were giraffes. This trophy hunter touted expeditions especially for "ladies." The British funnyman slaps on the biting sarcasm to show how absurd and cruel these killings really are. While some recoil at the disturbing images, Gervais uses his public platform as a tool to raise awareness, and he doesn't apologize for it. To a tweeter who wrote, "I wish @rickygervais would stop posting pictures of dead giraffes," he replied. 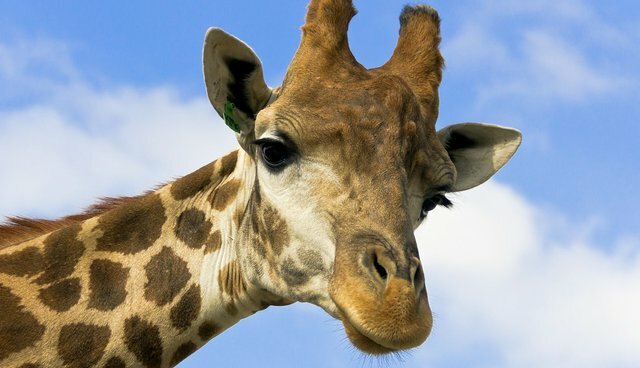 "I wish people would stop killing giraffes." Indeed, the very point is for people to react to cruelty that might otherwise remain hidden. 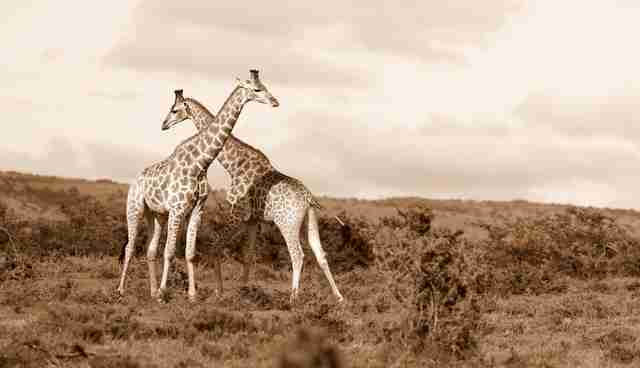 Because of trophy hunting, giraffe populations are rapidly decreasing, according to the Giraffe Conservation Foundation. In 1999, the population was more than 140,000, but has since dropped to fewer than 80,000 due to poaching, loss of habitat and human overpopulation. Animal advocates are trying to stop the trophy hunting of these majestic and harmless creatures. Giraffes aren't the only animal getting a breath of fresh empathy from Gervais. He has spoken up for many animals, from rare rhinos to domesticated house cats. He even retweeted The Dodo's story about Sudan, the last male northern white rhino on earth. Animal cruelty really is no joke, and Gervais knows it. We heart you, Ricky. Keep it up.